I have a bit of a backlog of blogs to write so this is the first of a few catch-ups! 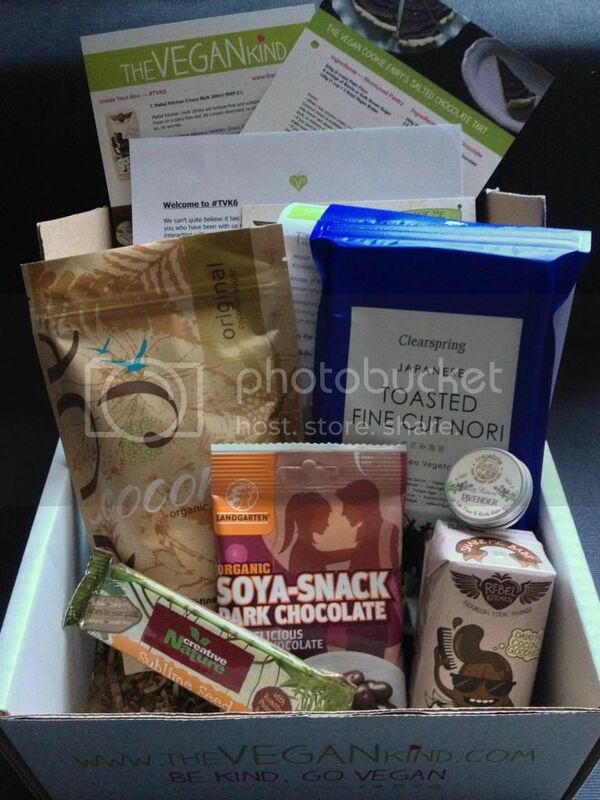 Box number 6 from The Vegan Kind arrived in their new dinky little box - it's so cute! And a great idea for when the items are smaller as there is less packaging waste. 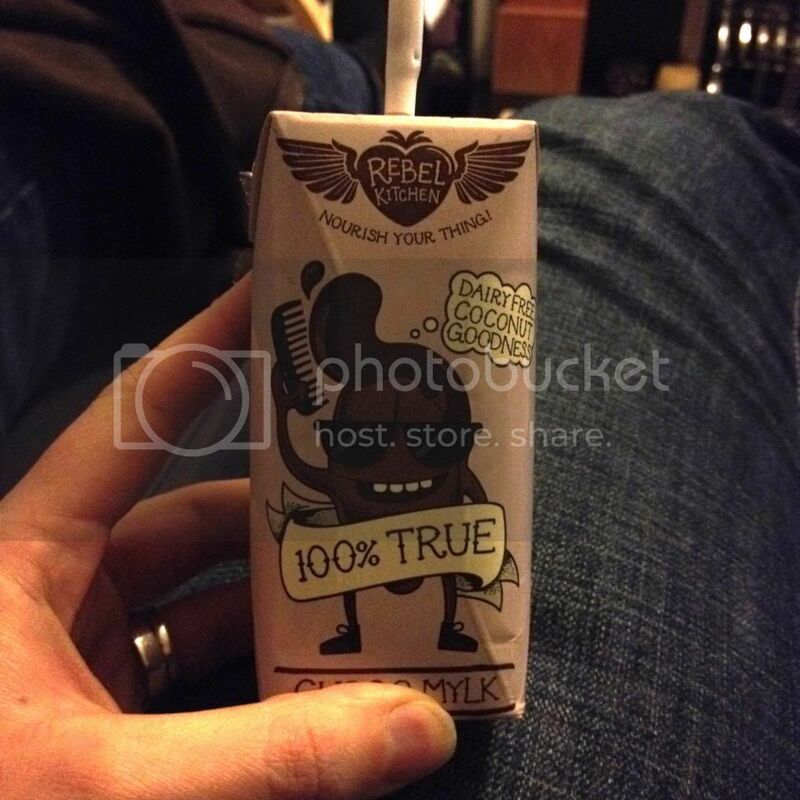 This "mylk" drink is made from coconut milk and spring water, and comes in three flavours - Choco, Banana, and Orange Choc. They contain no added sugar, as they are naturally sweetened with dates - yum! You're meant to chill them before drinking (as I imagine this would make it taste better...) but I decided to have mine straight out of the box for a chocolately fix and it was yummy even when room temperature! I would definitely like to try the orange choc one, as orange chocolate is one of my favourite flavours! This was an interesting alternative to the type of bars I usually buy. The peanutty flavour was a nice change and it was packed full of protein (peanuts, seeds, and hemp) so would be great if you wanted a post-workout snack. The third TVK box I received had a packet of Landgarten chocolate covered pumpkin seeds which I loved, so I had high hopes for these. They did not disappoint! 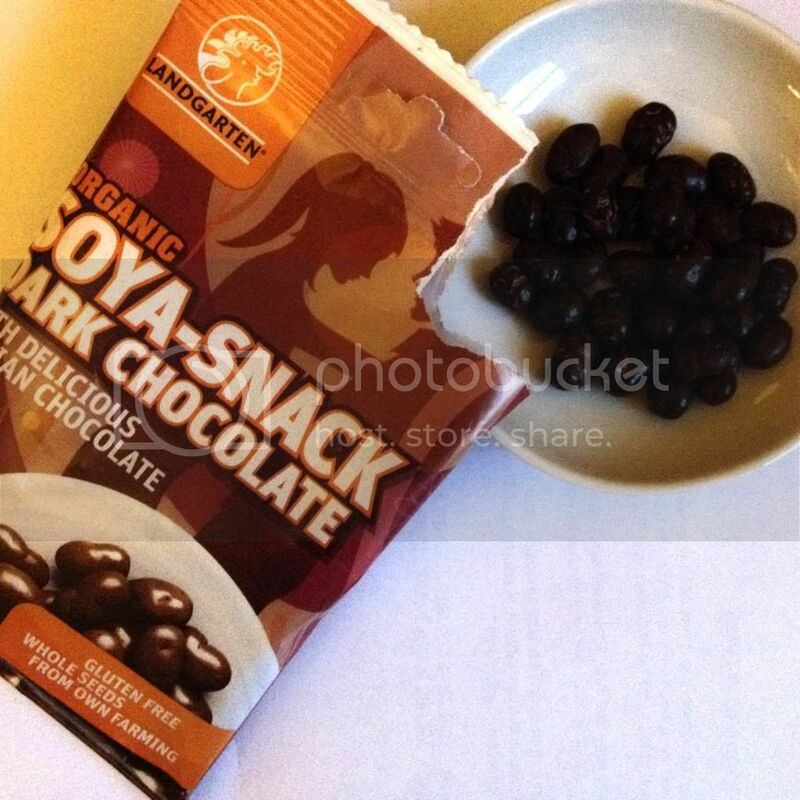 The soy beans were tasty and the chocolate was divine - such a great snack! (At least if you can refrain from eating the entire packet in one sitting... but even then it's still less than 100 calories so it's not so bad!) I've enjoyed the Landgarten snacks so much, I'm planning on visiting their website to stock up my cupboard with healthy snacks. Yum yum yum. Coconom coconut sugar can be used in place of regular sugar on a 1:1 ratio, so you can literally just swap it in your recipes. It is made from "freshly harvested coconut nectar 'sap'", and is loaded with nutrients. It's something I've wanted to try baking with since I tasted it at Vegfest in London last year. I haven't decided yet what I'll be baking with it but I'm looking forward to giving it a go! My very first box from TVK contained a box of Clearspring miso soup (which was very lovely), so it was a pleasant surprise to find another Clearspring product this month. This nori (a sea vegetable) can be eaten straight from the packet, used to make sushi, or crumbled onto a dish. I've never had sushi, vegan or otherwise, so I think I might give it a go and see how it turns out! This month's free recipe card looks beautiful and is something I will definitely make - Salted Chocolate Tart by The Vegan Cookie Fairy. The charity of the month is The Excellent Adventure Sanctuary, who help guinea pigs that have ongoing medical issues - go have a look at the adorable gallery on their website!